With growing environmental concerns, we are constantly hearing the phrase, “Reduce. Reuse. Recycle.” This is especially apparent with shopping bags and wasted wrapping. According to a study by the Clean Air Council, the United States generates an extra five million tons of waste in the winter holiday months, four of which come from gift wrapping, gift bags, and shopping bags. That is an enormous amount of waste that could be reduced by using reusable materials. If you are looking to help the environment and reduce waste from gift wrapping, we found the BOBO Wrapping Scarf online, which can do both for you. Not only are these wrapping scarves classy and fashionable, but they are also good for the environment. 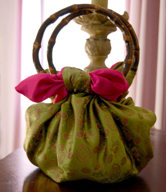 They are reusable and typically made from already existing fabrics, rather than wasting and using raw materials. 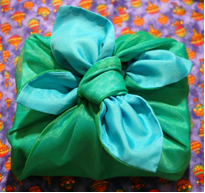 I thought this wrapping scarf was a great green alternative to gift wrapping. It is reusable, durable, and stylish. When you think about packaging any of your products, think of a reusable package that will last. At Sunrise, we make durable packaging, which you will not have to replace nearly as often, so you can help reduce waste. Many of our products are also made from recyclable, biodegradable or recycled materials, and we recycle all of our excess materials. So get out there, do your part to reduce waste, and help our environment. Greenhouse environmental management – the green house provides businesses with tailored waste management programs to minimize their waste output and costs.